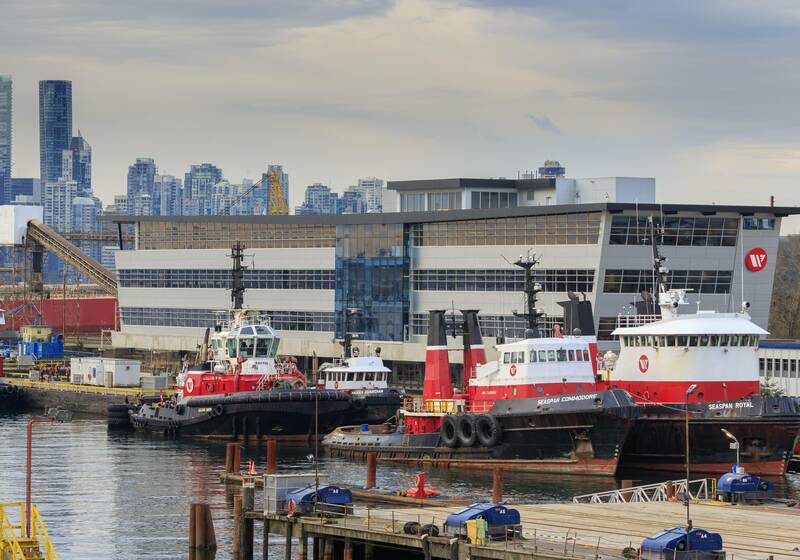 Seaspan Shipyards officially opened its new 7,800 square meter office at the foot of Pemberton Avenue on the south western spit of the property near Seaspan’s current offices in North Vancouver, B.C. 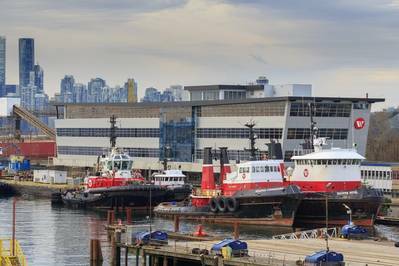 The new building, which provides space for approximately 390 employees, will serve primarily as a collaborative space for Vancouver Shipyards to execute preproduction work as a strategic partner to the Government of Canada under the National Shipbuilding Strategy (NSS). Seaspan Shipyards was selected as Canada’s Non-Combat Shipbuilder under the NSS to build several vessels for the Canadian Coast Guard and Royal Canadian Navy. According to Seaspan Shipyards, the new office builds on significant and planned investments in its people, processes and facilities made possible, in part, by the long-term and predictable nature of the NSS. Funded entirely by Seaspan, the office will enhance the shipbuilder’s ability to deliver on its commitments to the NSS as well as various commercial clients. The completion of the new office follows on the launch of the first large ship to be designed and built under the NSS – the Canadian Coast Guard’s Offshore Fisheries Science Vessel (OFSV). Work continues for the planning, design, engineering and procurement for our next classes’ of vessels: the Offshore Oceanographic Science Vessel (OOSV) for the Canadian Coast Guard and the Joint Support Ships (JSS) for the Royal Canadian Navy.